A sharply divided Spokane City Council on Monday finally agreed to tear down the vacant downtown YMCA and blend the waterfront parcel into Riverfront Park. It took a year of debate, study and even a bidding process that considered private development on the land bordering Spokane Falls for the council to reach the conclusion. In the end, the council voted 4-3 to accept Spokane County’s offer to pay the city’s $4.3 million debt to acquire the land using Conservation Futures property taxes. The decision is a relief to the Spokane Park Board, which took public heat for its decision to purchase of the land in 2006 for $5.3 million to prevent the construction of condos on the site. The board won support from county park leaders in 2008 to use Conservation Futures to pay off its remaining debt, but the City Council blocked that effort – until Monday. Most council members took at least eight minutes each to explain their votes. An unusual coalition of Richard Rush and Jon Snyder – often considered the council’s most liberal members – and the council’s most conservative member, Nancy McLaughlin, voted against using the Conservation Futures money for the purchase. They noted that use of Conservation Futures will require the Y to be torn down and will prevent future development on the less-than-1-acre parcel. They also argued that Conservation Futures money should be used for land already in a pristine condition. “This program is our mini national park system,” Snyder said. Rush said that over the years, the county fund has spent $2.9 million to preserve 223 acres of land within the city. He noted that the county will pay off the Y with interest over as many as 20 years – increasing the total cost to about $6 million. 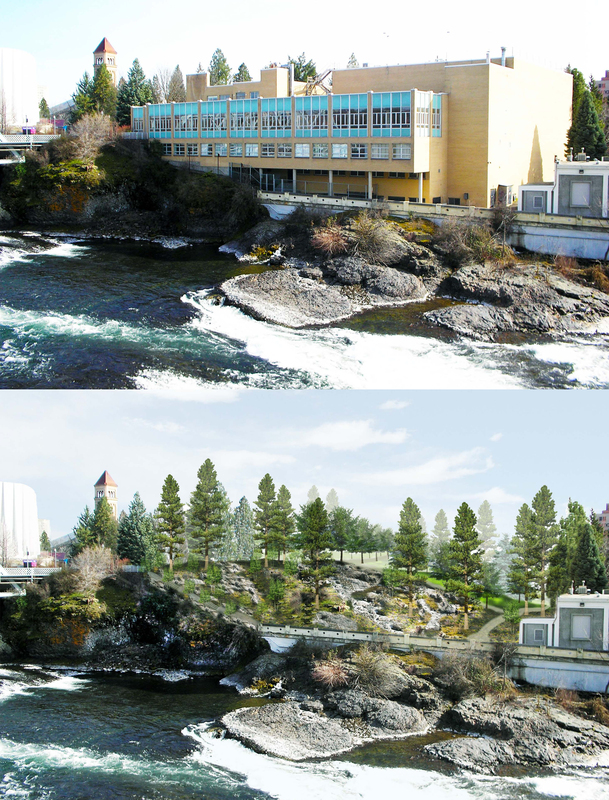 But others said there may be no more important piece of land to secure for open space because of its placement on the shore of Spokane Falls. The area that became Riverfront Park had been a commercial and industrial area until city leaders decided to place emphasis on the falls and create a place for the World’s Fair. “I am here to urge you to take the opportunity to secure the final parcel of land needed to complete geographically the dream of previous generations, which began with Expo ’74,” said Carol Barber, a former Park Board president and one of more than a dozen people who testified Monday night. Monday’s decision won’t end the debate about the YMCA. The vote will spark negotiations to write a final agreement between the city and county for use of the Conservation Futures money. That deal will require another City Council vote. Former city councilman Steve Eugster plans to file a legal challenge to the use of the money to buy the Y. Some also have argued that the Y is historic and thus must be preserved under city law. Park leaders have responded that it’s unlikely the building would qualify for historic registries and is eligible for demolition. Council members Joe Shogan, Amber Waldref, Steve Corker and Bob Apple said using Conservation Futures money was the only viable option to pay off the city debt and preserve the land.